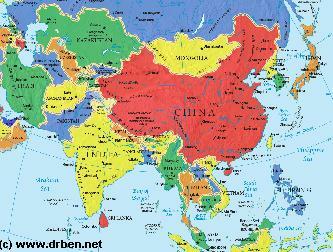 The Tu Ethnic Minority is the 4Th Largest Ethnic Minority Group in China. 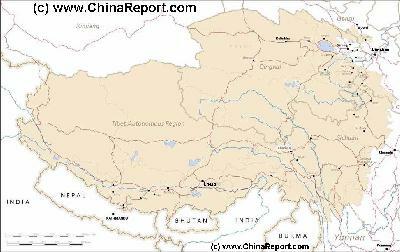 The Tu are an ethnic minority that lives primary along the Huang and Datong rivers in the Huzhu Tu Autonomous County in northeast Qinghai Province. The rest are scattered mostly in the eastern part of Qinghai Province. The Tu are similar ethnically to the Muslim Dongxiang and Bonan. What sets the Tu apart is that they are Buddhists. They regard themselves as Mongolians or White Mongols and what sets them apart from the Mongolians and Mongols is that have intermarried more with Chinese and live in an area traditionally occupied by non-Mongolians. 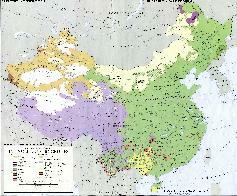 The Tu are also known as the Huzhu, Guanting, Mongols, Monguor, and White Mongols. A 1990 census counted 192,000 of them. They speak an Altaic language similar to Mongolian and have no written language of their own (they use Chinese characters for writing). Most belong to the Yellow Hat sect of Tibetan Buddhism. Families have traditionally sent at least one son to a monastery to be a monk. Much of the traditional lifestyle of the Tu ..